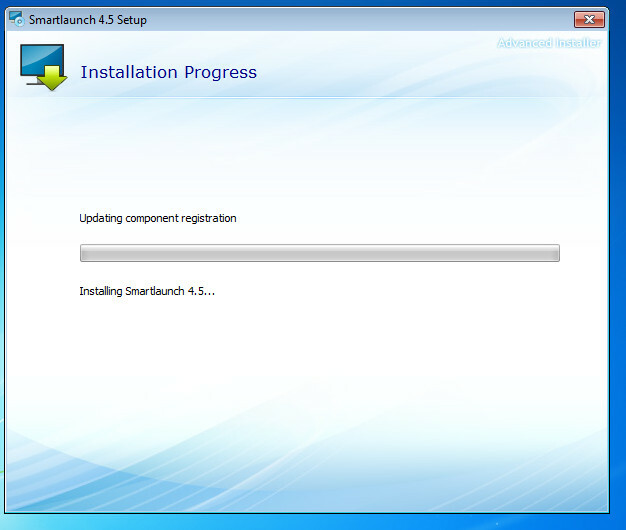 Click on the Smartlaunch Client installer and this Window will be appear. 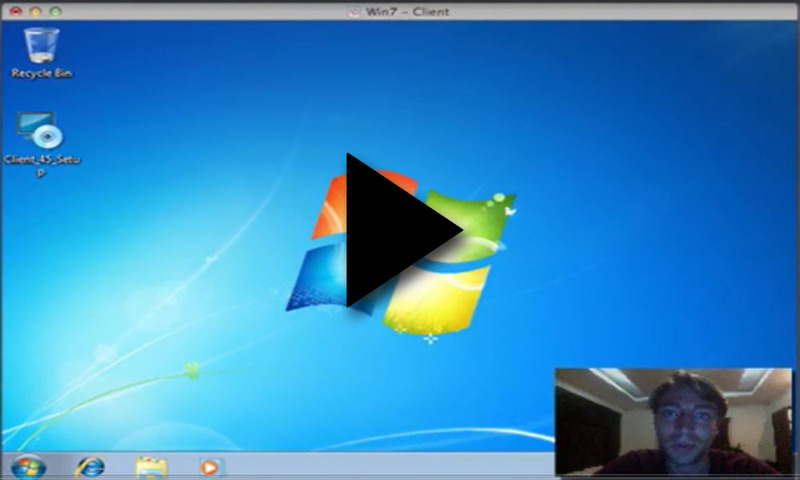 You can choose your file location but we recommend you to use the default location and click Next. 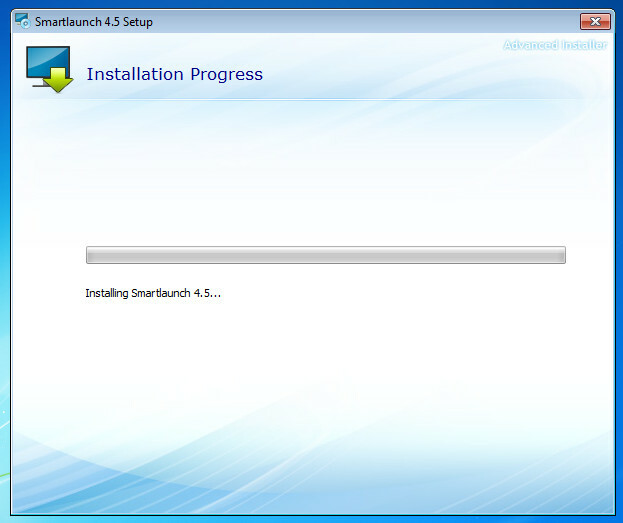 Smartlaunch instalation is in progress. 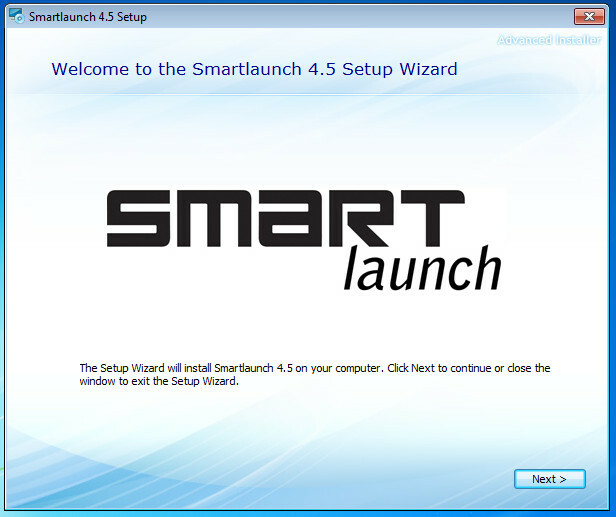 Once it finish you can start your Smartlaunch 4.6 by clicking the Start button. 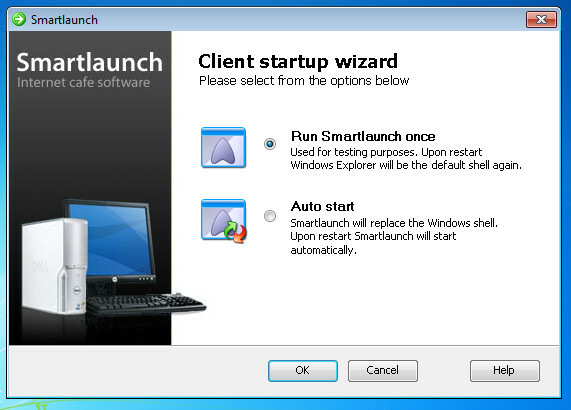 This Window will appear when you run Smartlaunch Client for the first time. 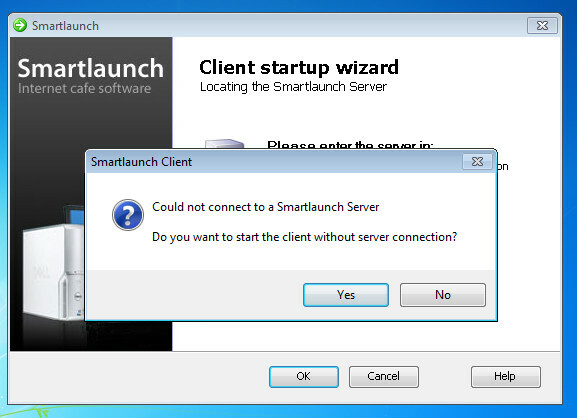 There are 2 options for Smartlaunch Client startup: Run Smartlaunch once and Auto Start. Please choose it depends on your purpose. 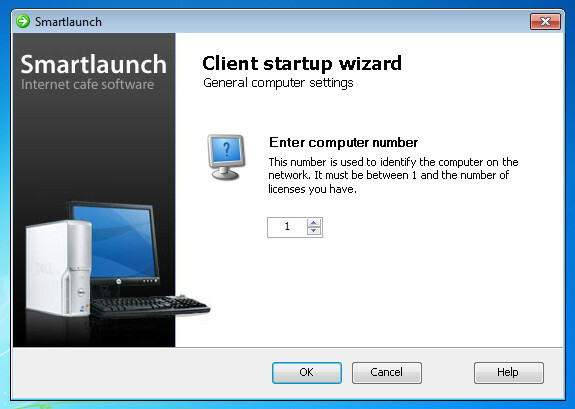 Please enter the client computer number. 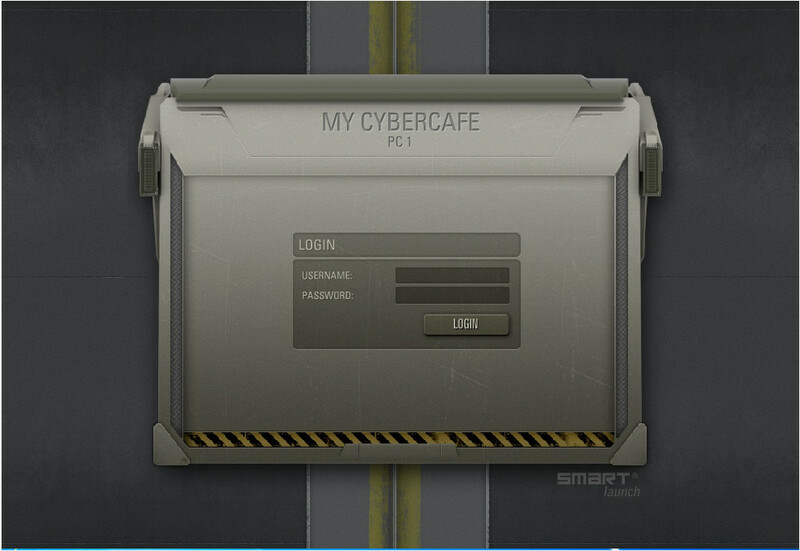 If you have 10 clients on your cafe, you can shoose the number from 1 to 10. 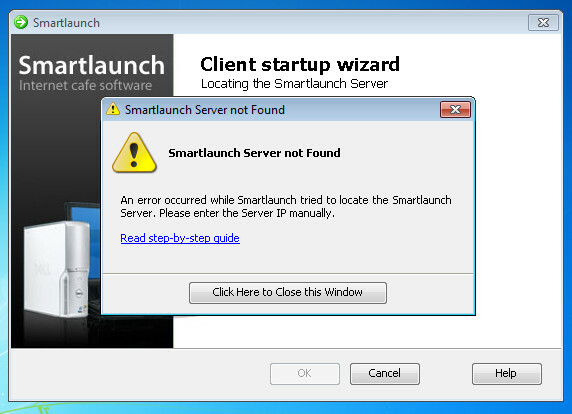 This Window is appeared when the Smartlaunch Client could not find the Smartlaunch Server. 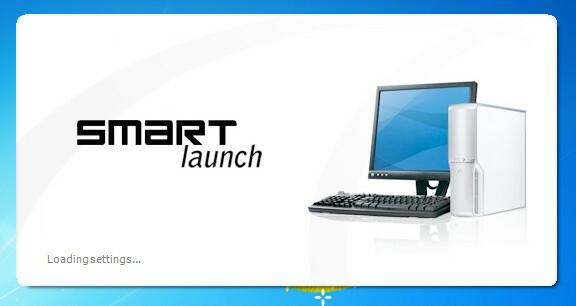 And the system will ask you to connect Smartlaunch without connection to the Server. Once it connected to the Server or when you decided to run it without connection to the Server, this Smartlaunch Client Window will be appeared.